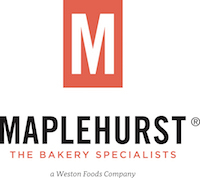 MAPLEHURST BAKERIES IS HIRING A MAINTENANCE TEAM MEMBER IN LEBANON, IN. Pay starts at 23.63 with increases at 90 days and 1 year! Maplehurst Bakeries is headquartered in Brownsburg, Indiana. Maplehurst operates state of the art facilities in Indiana, Georgia, Missouri, Nebraska and Washington State while serving the Industry with a World Class frozen Distribution Network. Our key product offering includes: Cakes, Donuts, Cookies, Bagels, Rolls, Breads, Pies, Danish, Cinnamon Rolls, and Crackers. Responding and reacting to mechanical issues in the production environment in a timely and efficient manner. Completing maintenance projects, PM tasks and work orders as assigned. • Maintain a high sense of safety responsibility at all times. • Must be knowledgeable of and be capable of working on various food manufacturing equipment and conveyance systems. • Must have strong electrical OR mechanical troubleshooting skills. • Must attend meetings as assigned. • Respond to service calls or requests in a timely fashion. • Assist at all times with keeping the plant running as smooth as possible while working on maintenance projects and performing PM task. • Recognizes waste and recommends initiatives for elimination or reduction. • Use computer system to locate parts and schedule repairs. • Must know how to issue parts out of inventory. Electrical Work (a plus)– Maintains electrical lines, circuits, systems, and associated fixtures, controls, and equipment. Pipefitting (a plus) - Modifies and repairs piping systems and equipment such as vacuum and plant compressed air systems. Sheet Metal Work (a plus) - Forms, joins, assembles and installs conduits, chutes, guarding and other items and systems that have combined straight and curved edges or irregular curves and planes. Machining (a plus) - Repairs and rebuilds items from raw stock of different metals, metal alloys and other materials, such as stainless steel alloys, aluminum, rubber, plastics and nylon, through the use of hand and conventional machine tools. Tig Welding - Welds all types of commonly used metals and alloys of various sizes, shapes and thickness, including dissimilar metals such as copper to steel. Industrial Equipment Repair - Maintains various types of non-production industrial plant machinery equipment and systems. Production Machinery Repair - Maintains numerous types of fixed and semi-fixed production machinery used for manufacturing in a food processing facility. Utility Systems Repairing - Maintains and repairs one or more utility systems such as HVAC marked systems. Past utility work a plus. Language Skills: Ability to read and interpret documents such as safety rules, operating and maintenance instructions, and procedure manuals. Ability to write routine reports and correspondence. Ability to speak effectively to others. Mathematical Skills: Ability to add, subtract, multiply and divide in all units of measure, using whole numbers, common fractions and decimals. Familiar with English and Metric units of measure and conversion between the two systems. Reasoning Skills: Ability to solve practical problems and deal with a variety of variables in situations where only limited standardization exists. Able to interpret a variety of instructions furnished in writing, oral, diagram or schedule form. Physical Demands: The physical demands described here are representative of those that must be met by an employee to successfully perform the essential functions of this job. Reasonable accommodations may be made to enable individuals with disabilities to perform the essential functions. While performing the duties of this job, the employee is regularly required to lift up to 50 lbs; to work in unusual body positions; stand; walk; use hands to finger, handle, or feel; and talk or hear. The employee is frequently required to reach with hands and arms from ground to above head. The employee is occasionally required to sit and stoop, kneel, crouch, or crawl, climb and use of ladders. Specific vision abilities required by this job may include close vision, distance vision, color vision, peripheral vision, depth perception and ability to adjust focus. Work Environment: While performing the duties of the job, the employee is frequently exposed to wet and/or humid conditions and moving mechanical parts. The employee is occasionally exposed to extreme cold. The noise level in the work environment is usually loud. Performance Criteria: Must display job performance consistent with achieving and exceeding department, plant and corporate goals. GMP’s, Safety, and Environmental: Every employee will be required to observe and follow the high standards of Good Manufacturing Practices that are proper and essential for a food manufacturing facility. Established safety rules will be followed in order to maintain a work environment that is safe and free from hazards. Every employee is to follow established guidelines and training in regard to all environmental programs.